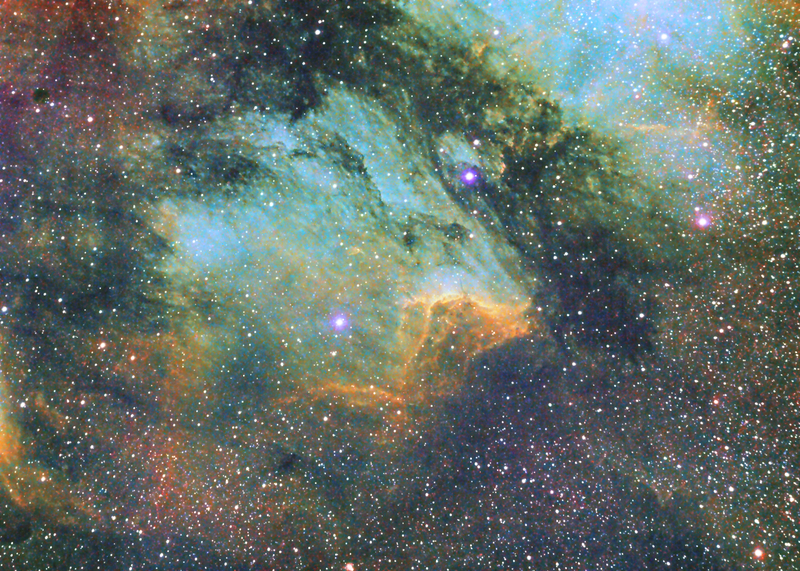 This is IC5070 Pelican nebula in Cygnus tone mapped using Sii as Red, Ha as green and Oiii as Blue. 9x5min each colour channel. 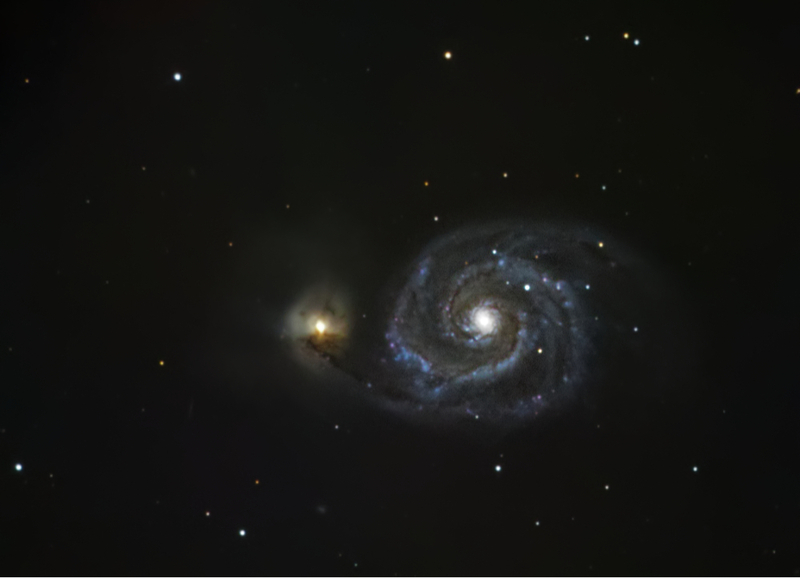 Stacked and aligned in Astroart, Initial stretching and development in Startools then colour re-combination, balancing, additional tone mapping and sharpening in AP. BTW - AP did these final stages in a fraction of the time PS takes. 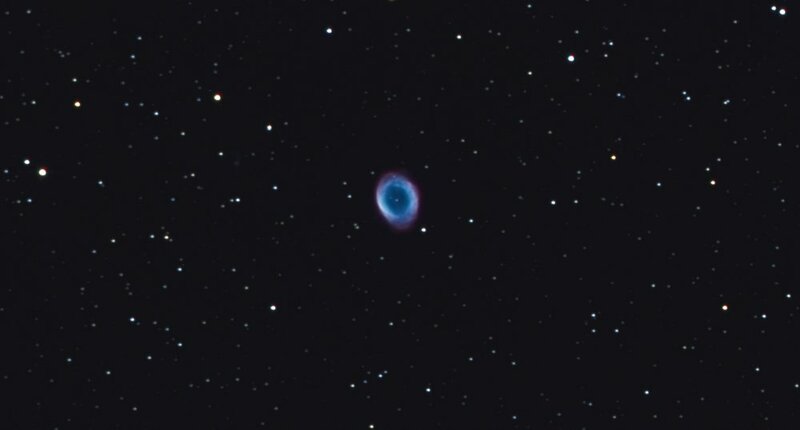 Is this a photograph that you took using a telescope? A telescopic lens wouldn't penetrate that far would it? 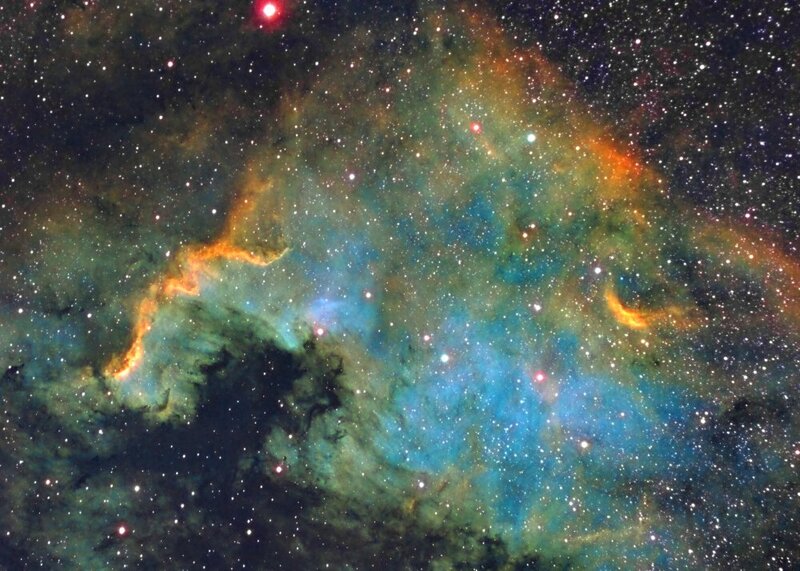 Some scientists claim that hydrogen, because it is so plentiful, is the basic building block of the universe. I dispute that. I say there is more stupidity than hydrogen, and that is the basic building block of the universe. These are not my own words but I sure like this quote. This was taken with a 500mm scope over several hours using a mono camera (4/3 format) and 3 different filters. To give you an idea of scale a full moon would fit into this image about 4 times. 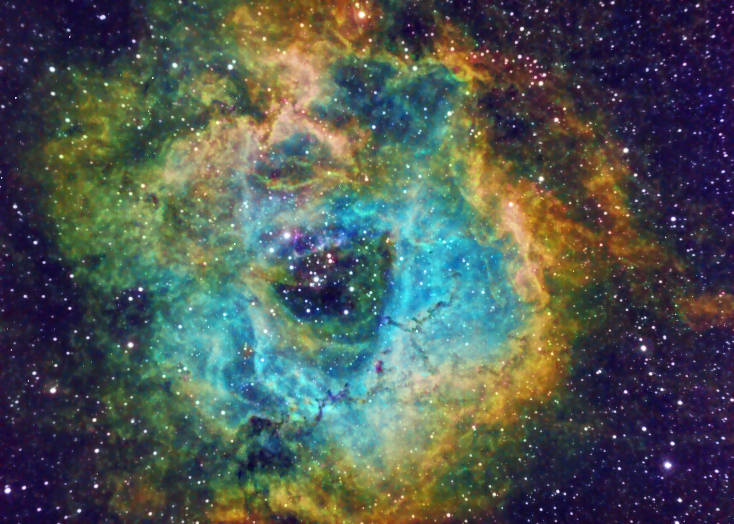 The filters give what is known as the Hubble Palette which DSLR's cannot reproduce, Sii is nearly infrared, Ha is deep red and Oiii turquoise blue, hence why I map Sii to Red and Ha to Green and Oiii to Blue in false colour. 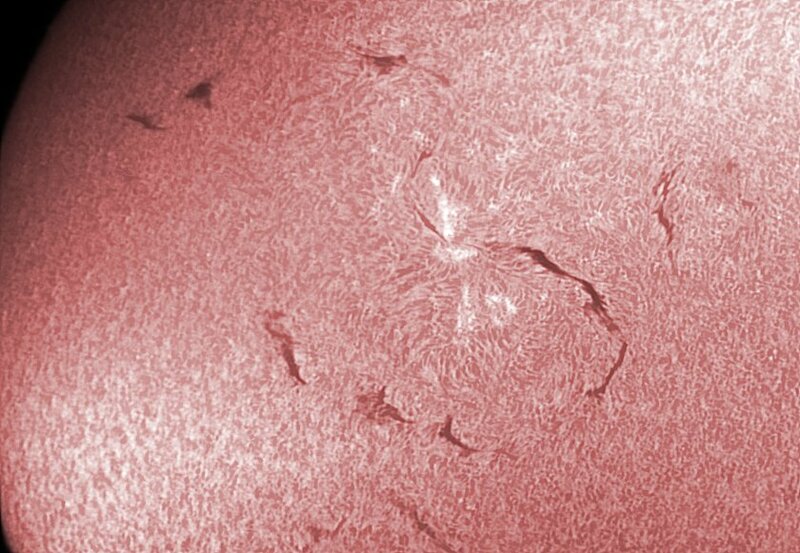 If you did this with a DSLR you would have to take about 100x 5minute guided exposures (clouds permitting in the UK). The final image would be very red due to the levels of Ha and Sii in this nebula. Hubble palette image with just 3 hours of data on 360mm telescope. I have rarely been able to get the central cores of galaxies to show much detail - Always blown out. Have now been using the Tone Mapping persona and wow - great results better than anything I have achieved previously. The more I try AP the more I like it and love what it can achieve. 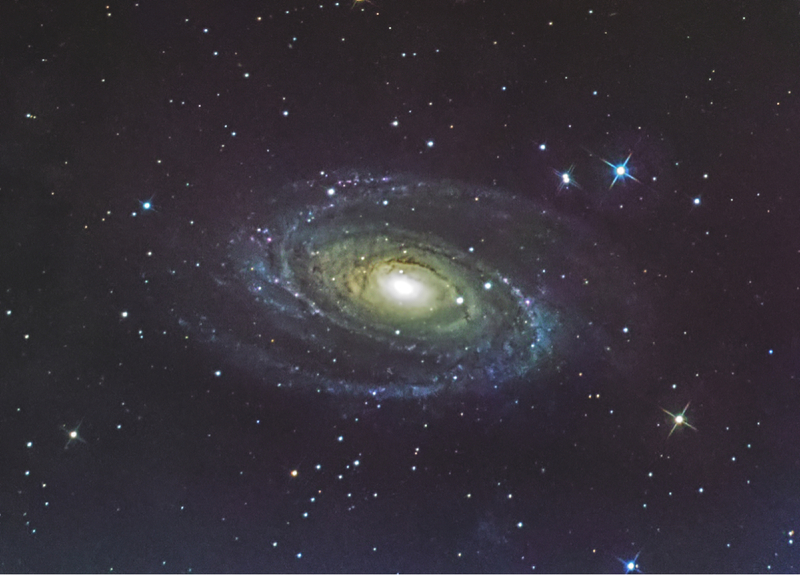 This one is of M82 Bode's Galaxy - the luminance file was 25x2min at 14bit with sigma adding to produce a 16bit output. Nearly all the processing through AP tone mapping except for de-noise and colour balance. . . .and you should be pleased with all of these. WOW! That's a bright one. It counts! 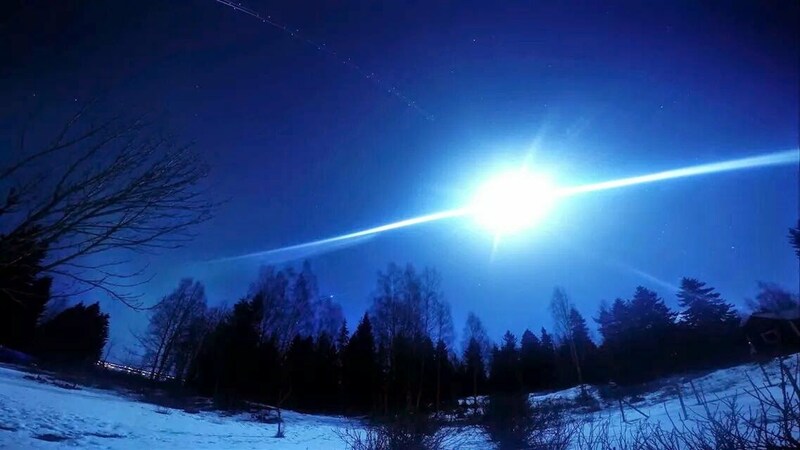 Stargazing, falling or not. Ye, it's probably taken past midnight. However, I do live quite far north on the map, we don't really get that pitch black as the south. But I guess the over-exposed moon does help a lot with the lightning.. Thanks to the online videos my technique in AP is improving especially in removing noise (live de-noise filter) in my astro photos. All processing in AP except stacking, gradient removal and conversion from FITS format. Q - does AP have any form of gradient removal? 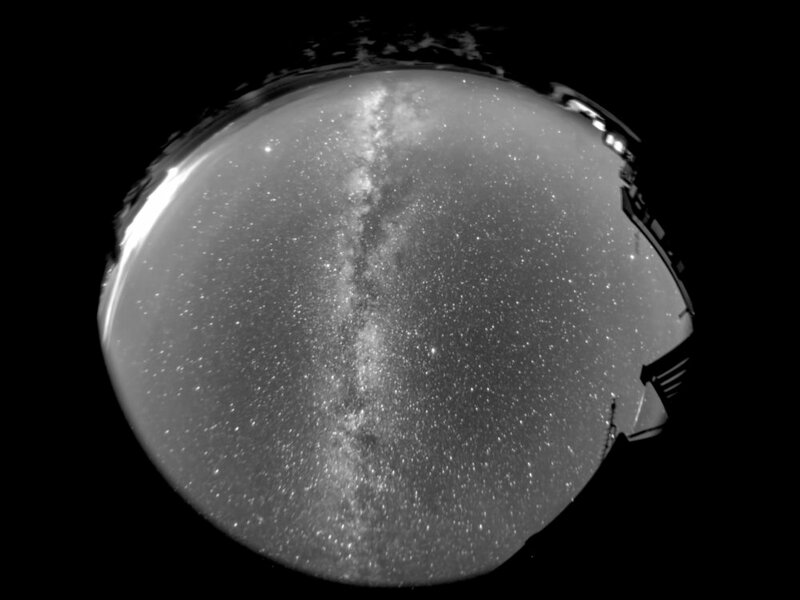 I have seen several threads on capturing star images and the issues around this with DSLR's. With the milky way starting to move into a good position in the UK I thought I would post a method. I should point out that I don't normally image the heavens with DSLR (high spec astronomy cameras normally) but tried last night for some fun. 2 Focus on a distant subject in daylight then set the camera to manual focus - lock the focus if you can and don't be tempted to move it. DSLR's don't like focusing on stars! All working in AP except alignment. 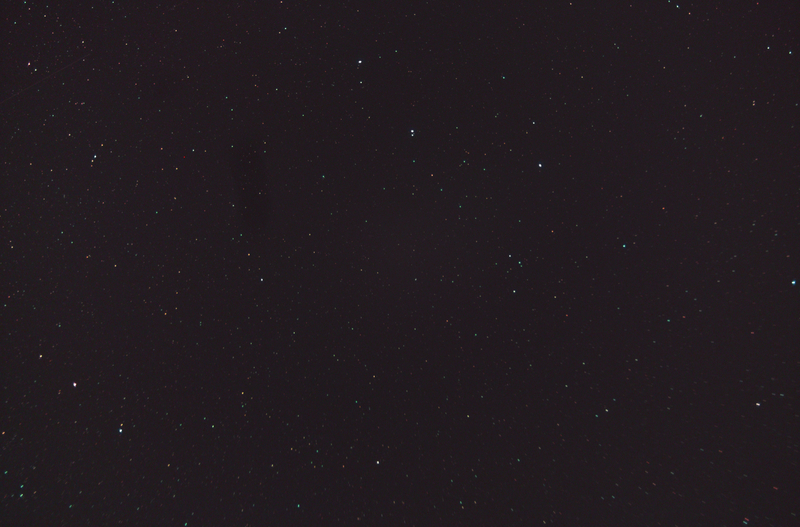 Hope you like it - can you find the very faint small spiral galaxy IC1296 just to the left of the main nebula? Apart from all these 'deep field' images - which are remarkable in themselves, do you ever train your equipment on the planets? I once had telescopes and all the fuzz that goes with it, but finding the planets was a right sod unless you knew (obviously) the exact point amongst the constellations in which to find them. I had limited success but boy! It was fascinating to say the least. It might help now, but 40+ years ago those gadgets didn't exist. I will have to go back through my old files and find Planetary images. The UK is a bit far north for most of the planets so I have some archived ones taken nearer the equator. The UK is a bit far north for most of the planets so I have some archived ones taken nearer the equator. Ah. . .so you've travelled with your equipment in tow. And yes, the equator is an ideal place to see the planets. In my youth I didn't have the wherewithal to mount such expeditions so I became restricted to the UK and had to settle for Astronomy classes in night school gathering as much knowledge as I could. The worst obstacle I came across when star gazing was light pollution - so the milky-way. . .no chance! 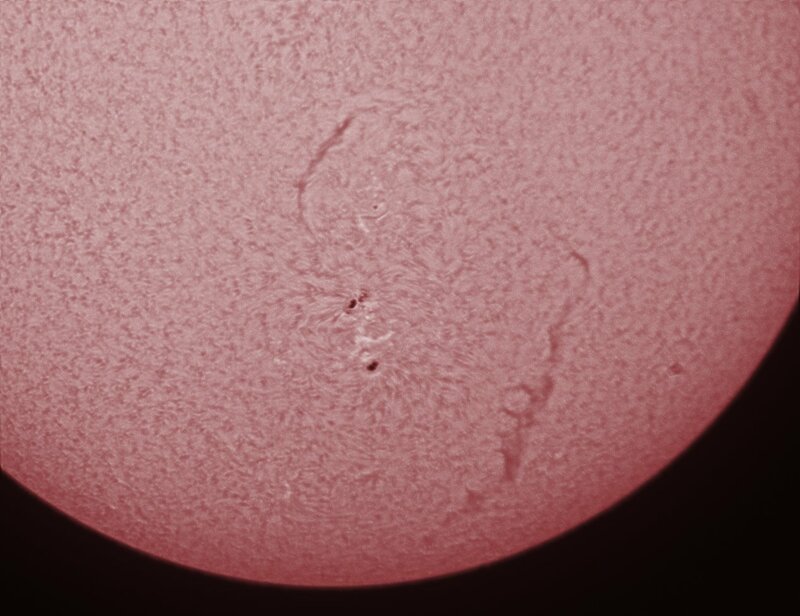 Your images of the Sun take me back to the time when I purchased my first Sun filter and began observing what I could see, I didn't get the detail you have here but I did get to see Sun spots for the first time. Great pictures as always, and I look forward to seeing more of your archived material. Things have come on a lot - I use a solarmax II which gives about 0.5A bandwidth and dedicated mono camera. I do have a permanent mounted pier system but most of my solar ones (and planetary for that matter) are taken with a portable kit. Well if you call 30Kg additional luggage just for my astronomy kit portable !? 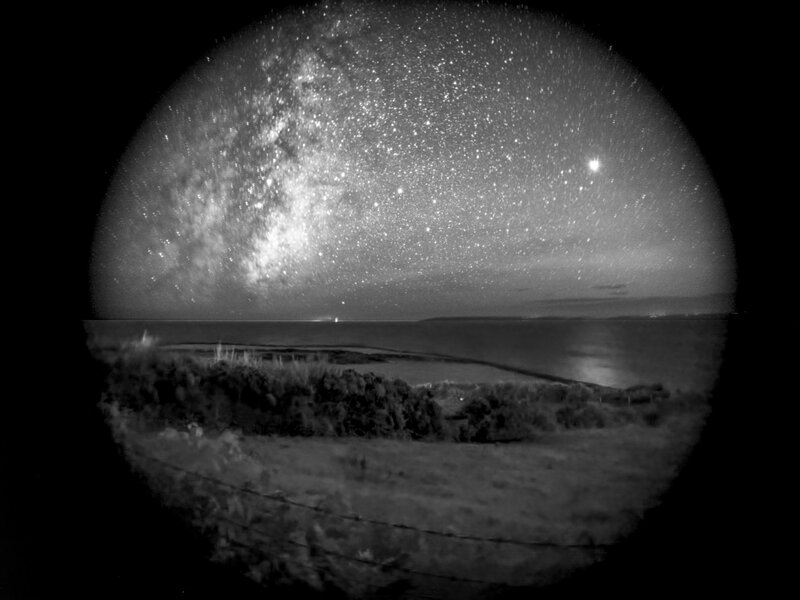 Suggest you leave London for a night and head off to the south downs with an F2 ish 30mm lens and give the milky way a shot. - lots of nice dark skies down there. Yes. . .things have definitely come on - in leaps and bounds. I sold all my kit years ago; the age old scenario: boy meets girl/marriage beckons/need of money/sell every non-essential possession/divorce/looks backward at what might have been. These days I am left with a Sony A550 and not much else. The interest is still there - all my life in fact, but the great divider now is time, or lack of it. I will bear your suggestion in mind for future reference, and seek some technical advice from my brother (who is a photographer). 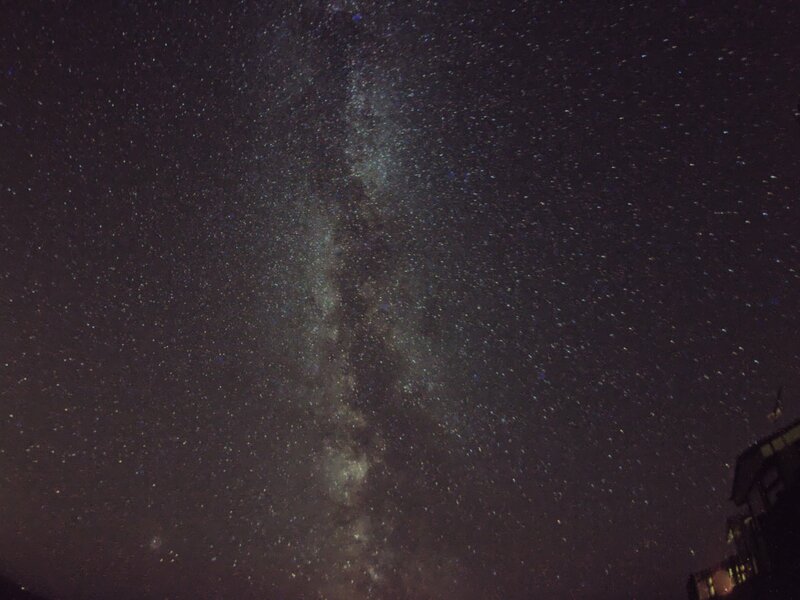 Finally managed to get to a site near St Davids with some very clear skies. The bright object in mars glow.jpg is mars and the reflection of the milky way can just be seen in the sea.